Blu Dot and Keetsa bring you a greener mattress with substantial impact on your comfort but a smaller footprint on the earth. The Tea Leaf Classic is a very firm iCoil® mattress topped with five inches of responsive and supportive BioFoam® and Comfort Foam®. Developed for those who like firm support with a soft feel—and the iCoils® minimize motion transfer, reducing disruption from other sleepers. Great for those who prefer to sleep on their backs or stomachs. Thrilled. Delighted. Satisfied. This is how we want you to feel about your Blu Dot purchase. If you aren’t happy with your purchase, notify us within 10 days of receipt. 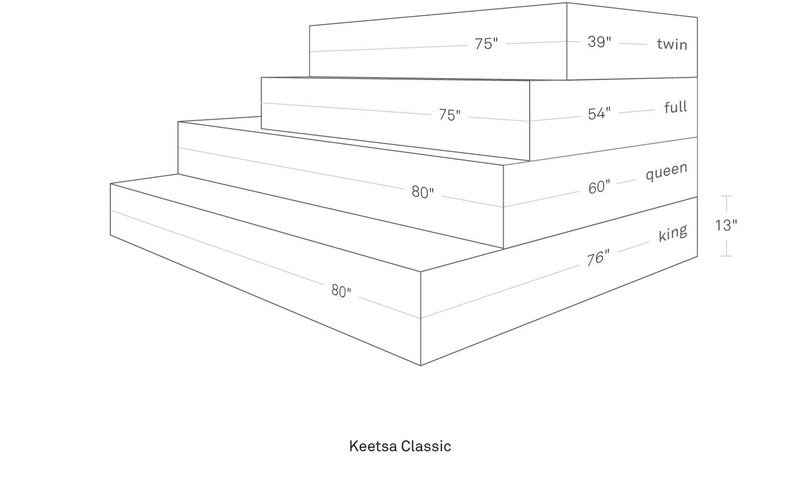 Keetsa mattresses are not eligible for return outside of the original packaging. If your mattress is still in the original packaging and you would like to return your mattress there is a $80 restocking fee, per Keetsa's policy.